You can have the best bed in the world alright! With super soft and squishy mattress and bedding, plush pillows and some beautiful covers to go with. However, it cannot possibly be a bed without an equally comfortable bed sheet. One of the most important things about bed sheets is that they should retain their quality even after several washes and continue providing the comfort it had when you first got it. Usually, most bed sheets falter in quality after the first three washes, or after the first two for some inferior and cheap ones. And the tricky part is to know which ones will hold up out of all the other gimmicky there, especially the ones bought online. However, if you’re looking for the perfect bed sheet right now, then you’re in luck! One of the most popular and highly reviewed bed sheets is the Boll & Branch Luxury Bed Sheet. This is a beautiful and immensely comfortable product that is made of 100% Gots Certified Fair Trade Organic Cotton. But is it truly as good and deserving of these positive reviews? Hi, I’m Heather Couch. I’m an interior decorator who has an eye for all things beautiful, cutting through baseless hype. And today I’m going to talk about my experience with the apparently top-rated Boll & Branch Luxury Bed Sheet. My first impression of it? What I really liked about the product? Boll and Branch was founded in 2014 by Scott and Missy Tannen who aimed to set up their own little textile venture. They specialize in manufacturing and selling the finest quality of cotton blankets, bedding, and bath over a traceable online marketing and supply forum. The brand seeks to financially support the true producers, farmers, and cultivators of cotton who work endlessly to produce goods of the best quality by eliminating the cost of the middleman and retail space. In this way, the brand also delivers its produce at the best deal to its trusted consumers. Boll and Branch has always directly sourced only the finest organic cotton along with re-engineering every design for providing heirloom quality products, pure and free of any harsh chemicals or toxic dyes. The Luxury Bed Sheet is one of the lushest bed sheets that you could sleep on. It feels as nice as it looks, giving you a homely feel, rather than being scratchy and irritable like the chemically-treated sheets. It is imported from the best Fair Trade certified farms and factories in India that manufactures the product using absolutely certified organic cotton. 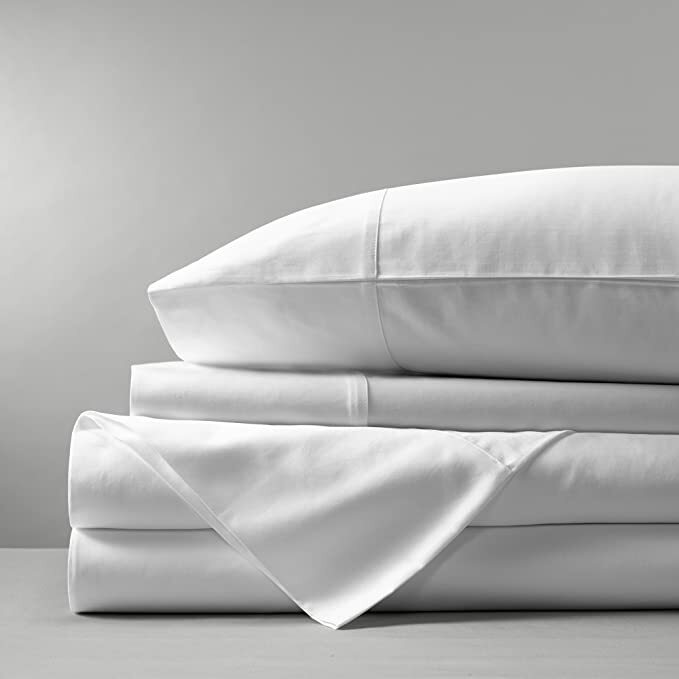 The sheets are of heirloom quality and specifically designed to last for a substantial period of time. These bed sheets are made using the highest quality organic “long-staple” cotton yarns available. 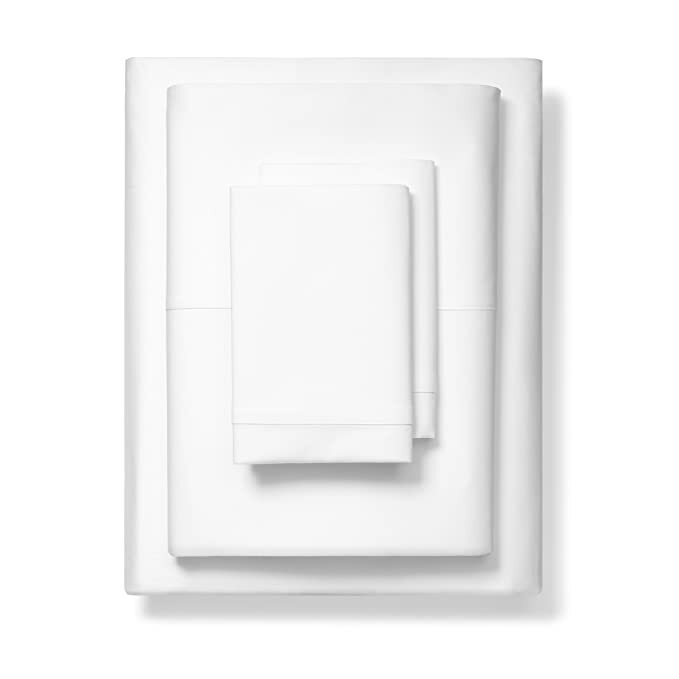 It means that the company uses only the longest staple or cotton fiber available in organic cotton in the making of these sheets. It is absolutely pure in composition and safe for keeping in contact with your skin for eight hours a night, providing comfort all day long. I first came to know about the product from one of my colleagues. She had a skin condition which flared up if she used or slept on synthetic or chemically-treated sheets. This had forced her to search for purely organic alternatives without chemicals in them, which would help her get a good night’s sleep. In a conversation regarding the topic, I came to learn that when she saw the reviews for this particular bed sheet, she simply went ahead and bought it without any further delay. She didn’t even stop to think if it was a scam or not! But the first time she ever slept on it she knew that it was a match made in pure cotton heaven! Since I have very sensitive skin myself that is prone to breakouts, I was quite interested in what my colleague had to say about a bed sheet that had become a great source of peace and comfort for her. I went and gave in to my impulse of ordering this bed sheet the very next day and was quite excited for it to arrive. Although I had expected it to be at my doorstep sooner, the product took over a week to ship and deliver. I had ordered the entire bed sheet set which included 1 fitted sheet, 2 pillowcases, 1 flat sheet and a laundry bag for bed-linen. I really liked the fact that they included a laundry bag of appropriate size and dimensions that you could easily use as a storage unit for all your bed-linen. It’s quite handy and functional this way. I used all the items contained in the set, except for the flat sheet. After using it for less than a week, I could tell you that I’ve struck gold in the bed sheet department (if there was even such a thing). This is a wonderfully manufactured and designed bed sheet that gives you the very things that you want: comfort, easy cleaning, and maintenance. But most importantly, it feels like a breeze on your skin and lets it breathe as you sleep. It is easy to wash, and the best part is that it gets even more breathable with regular use. The organic cotton kind of gets acclimatized with your biological structure to put your body to complete rest and allows the skin to breathe, thus increasing its healing capacity. The fitted sheet also comes with an extra deep 17” pocket to ensure it fits even the thickest mattresses although this could be loose on thinner mattresses. The flat sheet is designed to fit almost all types of mattresses and features a modern 7” hem. I have not had a single instance of hives or rashes since I started using the bed sheet. And I would go back and buy it again for a second round! The sheet undeniably looks glamorous and feels fantastic. But the real winning point that makes it this good is the unique weave that it has, which the brand has perfected over a considerable time span. The bed sheets from Boll & Branch feature the brand’s patented “four-over, one-under” weave that provides them a flexible, bouncy and luxuriously plush texture. Percale weave: This gives the sheets a feel similar to that of a freshly ironed, crisp dress shirt. 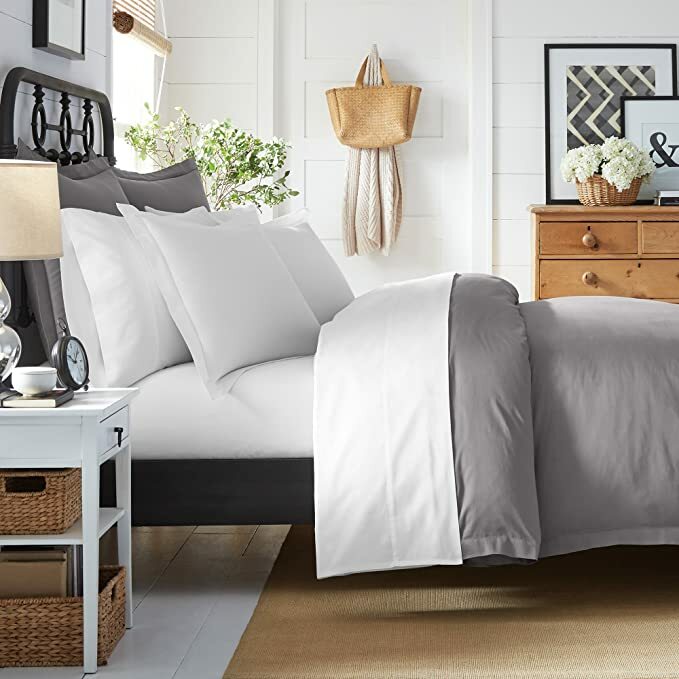 These sheets are more breathable and perfect for use during really warm temperatures. Sateen weave: Shirts with the Sateen weave texture are softer, more luxurious and bouncier in texture. This is what I use and absolutely love the way it feels. The brand also uses single ply long-staple organic cotton which is singularly long, strong and durable cotton fibers. Ply refers to the number of strands twisted together before weaving. The sheets have a total of 300 threads count which ensures a brilliant blend of lasting durability over a considerable period of time and a luxuriant texture making for a fabulous sleeping experience! I also really liked the fact that the bedding for Boll & Branch shrinks under 5%, which is a fair index, especially in the case of organic bedding. What I found upon washing the items is that the flat sheet may shrink by 4.4%, while the pillowcases shrank by 3.5%. This means that you can easily use this for a prolonged period of time with the material staying put as good as new. Although I’m thoroughly impressed by the product as a whole, there could be a few minor inconveniences. The fabric does stain easily; even if you spill the most harmless of liquids, it could take quite an effort to remove them from the fabric. Also, for people living in tropical climates, the Sateen weave may not be the most breathable option to go for, but they can choose the Percale weave instead. Apart from these very negligible issues, everything seems to be amply fine with the sheets. Boll & Branch bed sheets are delivered to your doorstep in a sturdy reusable cotton cardboard with ribbons, complete with a Thank You note that provides more details on their partnership with notforsale.org. They usually take just about a week to ship and deliver. You could place an order for fast delivery (1-2 days) with a small additional fee. It won’t ship on Saturday, Sunday or other holidays in case of 1-2 days delivery. If you’re not satisfied with the product, the company offers free returns policy within 30 days of purchase, but the shipping fee won’t be refunded. So this is all about my experience with the Boll & Branch Luxury Bed Sheet set. I hope you found it useful.